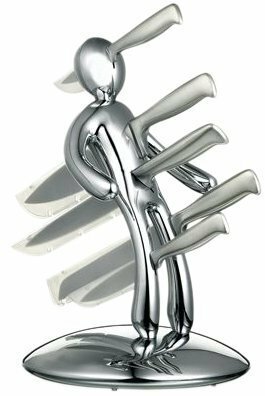 The Aubergine voodoo knife holder can slice through so much more than simply egg-plants. It works on cheese, meat, bread and just about any foodstuff you can think of! 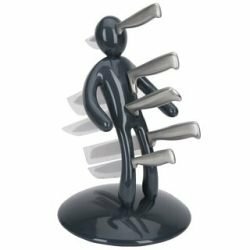 This voodoo knife block is called aubergine because of the colour – not because its five super-sharp kitchen knives can only manage to slice their way through an egg-plant!